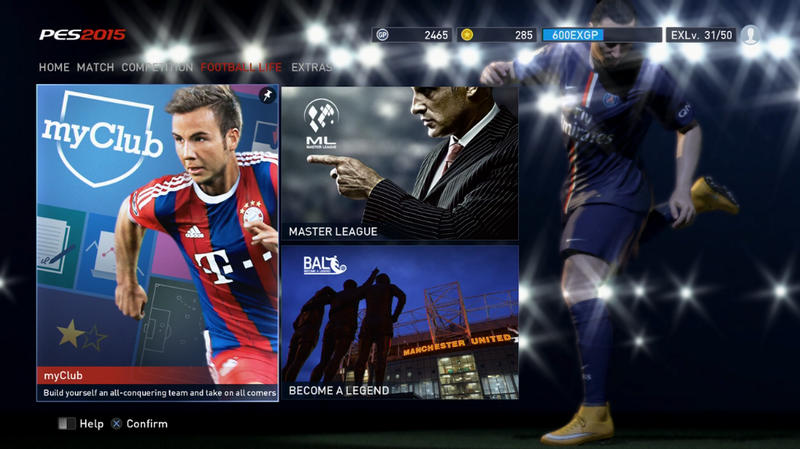 With the UEFA Champions League quarter-final campaign now over, Konami have implemented the latest content for the ever-popular myClub mode. Although this morning's maintenance didn't bring any new Special Agents, users can now take advantage of two separate in-game benefits, both of which will run until next week. Firstly, standard Top Agents (Ivarov, Stremer, Minanda and Castolo) can now be hired for just 100 coins each - reduced from 250. This is great news for premium players, however, for the rest of you, please note that GP prices still remain at 10,000. Speaking of GP, for the next seven days, Divisions and Divisions SIM matches will earn you 50% more rewards. 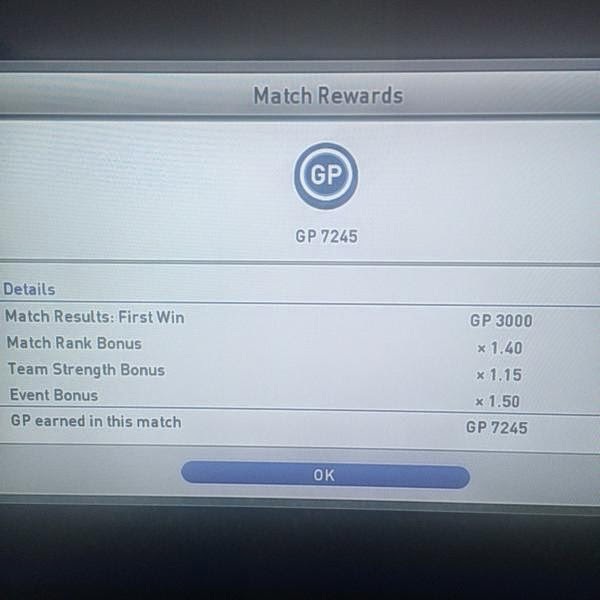 Assuming you win your first Divisions match of the day, you will earn yourself a huge amount of GP (see below) which will help you sign more Top agents, as well as extending the contracts of your existing players. Thanks to Spitfire13691 for tweeting us the pic! Don't forget, both of these offers are due to expire with next week's maintenance, scheduled for the the morning of Thursday 30th April, so don't delay! In other news, this year's PES League UK Final will be taking place this Saturday. Hosted at the world-famous Old Trafford stadium in Manchester, the event will see the top 32 PES players from the UK and Ireland battle it out, with the eventual winner going on to represent the region at the 2015 PES World Finals in Berlin, as well as bagging themselves a 55-inch Samsung TV and £1,000 worth of GAME vouchers! To stay up to date with the UK Finals, follow PESLeagueUK on Twitter.